Hayes Solicitors and Mazars will be hosting a breakfast event, “Funding Growth – Direct Debt Financing Solutions for Irish Businesses”, on the 19 October in The Great Room, The Shelbourne, 27 St Stephens Green, Dublin 2.  The event will examine the Irish direct lending market and hear from a well-known Irish business, who has used both traditional and direct lending to fund both acquisitive and organic growth. The Strategic Banking Corporation of Ireland will lead a discussion on funding solutions currently available to businesses in the Irish market along with a panel of direct lending providers including Dunport, Muzinich & Co. Ltd, BMS Finance and Capital Step.